Wondering what tourists get up to in Nepal besides trekking? Camping and tea-house trekking are not only two of the most popular things to do in Nepal but also one of the best ways to enjoy breathtaking views of the Himalayas, ice flutes, deep river gorges, rice terrace fields, and mountain villages. If you enjoy roughing it and don’t mind strenuous walks, camping trekking is definitely, the type of trekking you want to be doing in Nepal. Trekking routes such as Ganesh Himal (north-central Nepal) and Rolwaling Himal (east-central Nepal) and Mustang are some of the best camping trekking routes in Nepal. Tea-house trekking, in the other hand, is great because trekking routes aren’t as demanding and you’ll find plenty of tea houses (mountain lodges) and restaurants along the way. The most popular tea-house trekking routes in Nepal are the base camp treks of Makalu, Kanchenjunga, Annapurna, Manaslu and Everest. Regardless of the trekking routes you take, be sure to be as fit as possible and avoid the cold months (Dec thru Jan) and the rainy months (June thru August) of the year if you don't want to get a disappointing experience. Besides hiking excursions, if you’re traveling to Nepal between October and March one of the things you wouldn’t want to miss doing in Nepal is going for a sighting of the Bengal tiger and the one-horned rhino. The best way to go about seeing them is, of course, heading to one of Nepal’s national parks (i.e. Royal Bardia and Royal Chitwan) or wildlife refuges (i.e. 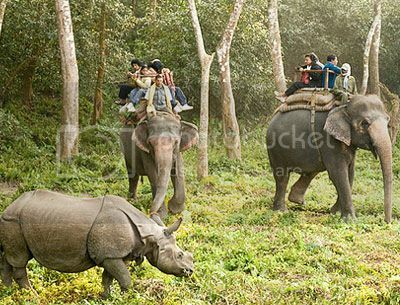 Parsa and Royal Shukla Phanta wildlife reserves) located in the Terai region (southern part of Nepal). Out of all these places, Chitwan national park is easily the most popular place to go for a jungle experience because of the beautiful jungle rivers, and the opportunity to meet the Tharu indigenous tribe who are the direct descendants of Buddha. There are plenty of tour operators offering different types of jungle safaris and a few ones worth mentioning include “Yala Adventure”, “All Trek Nepal” and “Treks 2 Nepal”. Whether you’re planning to do climbing in Nepal or not, one of the most popular things to do on hiking trips to Nepal is viewing up-close the Himalayas on a mountain flight. That’s what Nepal mountain flights (or Himalayan flight tours) are all about...being able to the beautiful Himalayan range from the comfort of a plane. 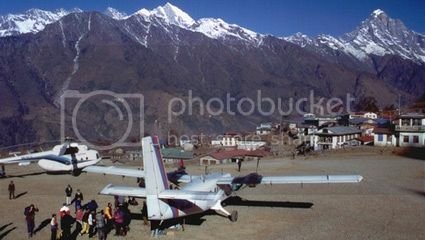 Nepal domestic airlines such as Buddha Air, Yeti Airways and Gorkha Airlines offer mountain flights for around $160pp all year-round, though it’s best to do a mountain flight between September and May to get a better chance of clear skies. The experience of seeing the snow-capped peaks of the Himalayan ranges is certainly one of the highlights of the entire experience, though being able to see the top of Mt Everest (~29,000ft) is definitely the best! Also, at the end of the mountain flight you even get a certificate that proves you’ve seen the summit of the mighty Everest so, you get to show-off to your folks when you return back home! If you’re a serious adrenaline junkie, one thing you definitely can’t miss experiencing while in Nepal is taking the 510ft plunge over the stunning Bhote Koshi River from the bungee jumping site at the Last Resort. 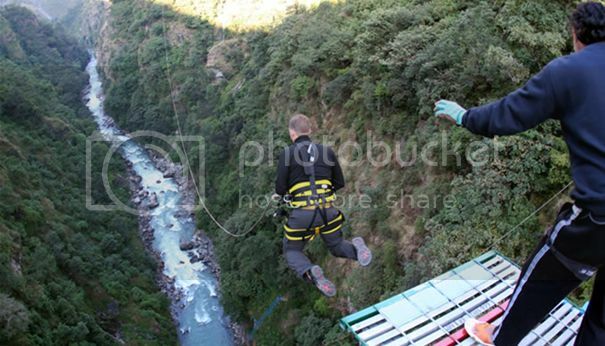 The Last Resort’s bungy site is located close the Sino-Nepal friendship bridge (near the Nepal-Tibet border) and it’s performed from a steel bridge built on a natural gorge that allows for an amazing free fall experience. You can organize a bungee jumping trip for around $90 (food + transportation) from Kathmandu, or you could catch the three-hour bus ride to the Last Resort for around $6 (540 Nepalese rupees). Once at the resort, you’ll be able to book single jumps and other fun activities such as canopy, rafting and zipline tours. Booking a rafting excursion is one of the most popular things to do on hiking trips to Nepal and the best thing of all is that you don't need to be an experienced rafter. 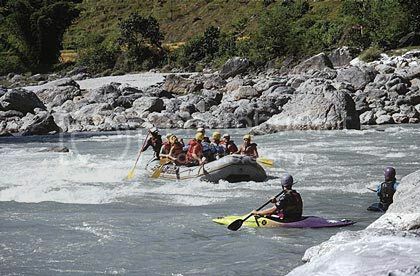 The rivers in Nepal are suitable for beginners and experts, though the ride fast rapids of Bhote Kosi River, Kali Gandaki and the Sun Kosi River are seriously exhilarating. Saying this, don't miss taking a nice lazy ride rides along the Trisuli and Seti rivers to soak in the beautiful surroundings. Remember though when booking rafting trips from Kathmandu you’ll have to allocate several days depending on the rafting trip you choose. For instance, rafting companies organized rafting trips to the remote rivers of Tamur and the Karnali for 10 or 12 days for around $400 all-inclusive. If you don't fancy forking out that much, you could always do a 2-day rafting trip on the Trisuli River for as little as $50. As far as rafting tour operators to choose from, there are several you could consider such as “Treks 2 Nepal”, “Ultimate Descent Nepal”, “Mountain River Rafting”, and “GRG Adventures”. By the way, most rafting excursions should include things like rafting permits, food, ground transportation, and rafting equipment, though sure to double check before you book! Even if you’re visiting Nepal just for the outdoors, you wouldn’t want to miss exploring the stunning Buddhist sites and Hindu temples of Nepal. 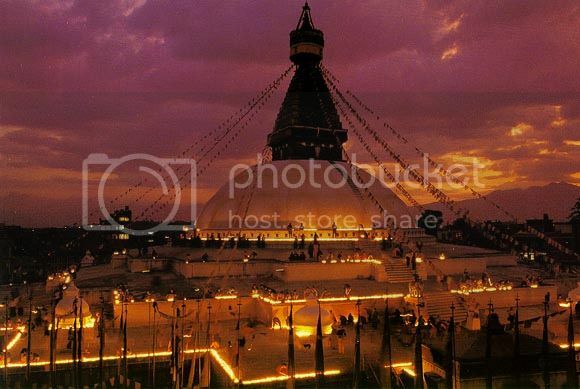 In the capital city of Kathmandu, you don't want to miss the Boudha Nath Stupa (largest Buddhist shrine in South Asia) and the temple of Buddhanilkantha, which houses the submerged statue of Visnu. The Royal Palace complex and Krishna Temple in Patan, the 55 Windowed Palace and the Datta-Traya Temple in Bhaktapur, Tilaurakot (where Buddha spent its early years) in Lumbini, and the Gorkha district the legendary Gorkha soldiers come from are some of other must sees in Nepal. Saying this, the sights mentioned are just the tip of the iceberg. There’s so much more to see in Patan, Bhaktapur, Pokhara, and Lumbini that it’s a good idea to arrange organized tours in those places. 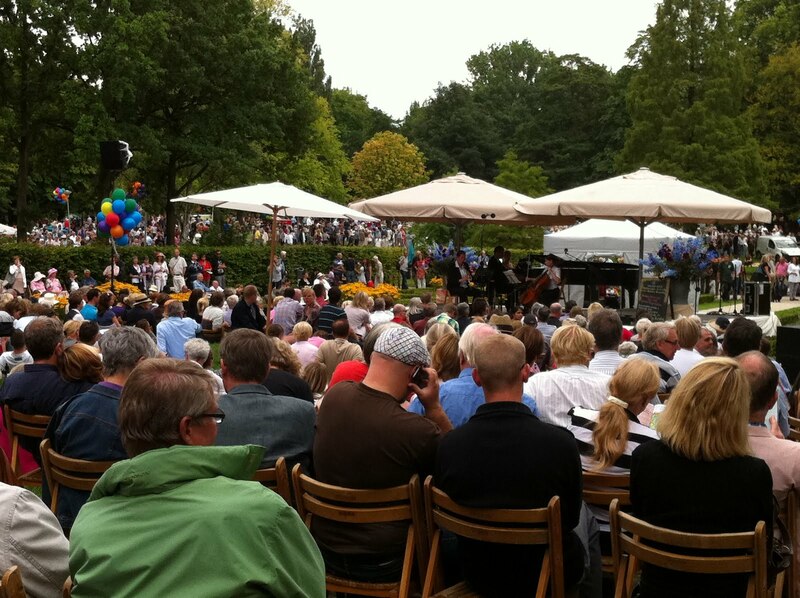 You’ll definitely get a more rewarding sightseeing experience knowing what you’re looking at!